Bauer Vapor X400 Ice Hockey Skates - Senior is rated 5.0 out of 5 by 2. The Bauer Vapor X400 Hockey Skate is high quality hockey skate featuring a Thermoformed X-rib pattern on a tech nylon boot. It has integrated anatomical heel and ankle support. Inside the boot, the Vapor X400 has FORM FIT+ footbed with an anatomical two-piece, white felt tongue, and Anaform foam ankle pads. It also features a microfiber liner and a molded comfort EVA foam footbed. The Vapor X400 hockey skate features the TUUK Lightspeed Edge blade holder with TUUK Super stainless steel runners. Weight: 760 Grams Weight of the skate measured in Grams (Sr 8.0D, Jr 4.0D, Yth 12.0D). Holder: Tuuk Lightspeed Pro Type of skate blade holder. Tongue Material: Anatomical 2-Piece Felt Type of material and design of the tongue. Boot Construction: Tech Nylon w/ Thermoformed X-Rib Pattern Type of material the product is primarily made of. Outsole Construction: Injected TPR Type of material the outsole is made of. Rated 5 out of 5 by Brbritton from Best Fitting Skates Ever I’ve been wearing Bauer Vapor skates which were purchased locally for years and have always been under the impression that Hockey skates will not be comfortable. After my last new purchase I decided to drive 3 hours to the Bridgeville, PA store to get a proper fitting. My salesman, Pete, put me into Bauer Supremes and changed my size. After years of going to other stores, I find out I’ve been wearing the wrong size & skate line. These skates are the most comfortable I’ve ever owned thanks to Pete. From now on, Pure Hockey is my skate store. Rated 5 out of 5 by Jim P from Great fit Good fitting skate, and team at PH did a great job baking and sharpening to give me the best experience. Easy break in and ample support for skating and pick up play. Is the listed size for the converted skate size or our show size? The sizes you see listed are the skate sizes. 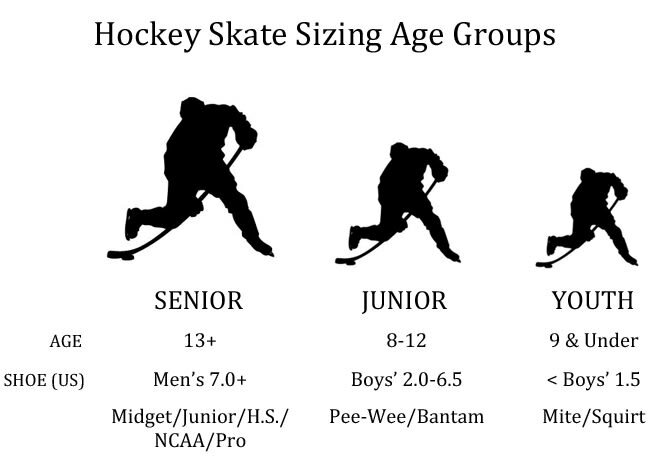 Skate sizes are typically 1.5 sizes below your shoe size. A size 10 shoe is typically most comfortable in a size 8.5 skate. Thanks! Are these skates good for rec league/ pond hockey ? These would be perfect for the rec player or somebody looking to skate on the pond. I would not recommend these for people playing competitive hockey. Thanks! Can you give an estimation of skill level that is supported by this product? I am at medium level with figure skates and want to switch to hockey skates. I don&rsquo;t play hockey, I just enjoy ice skating. Thanks. What is the difference in R, D, and EE on the Bauer skates? I own an R now but I seem like i need a wider fit as they hurt the sides of foot. 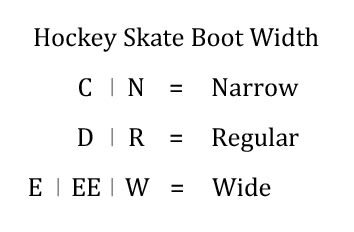 R is Regular width and is typically found on beginner skates. D is the Standard width and EE is Extra Wide width. What's the difference on the width for D &amp; EE. Which one is the wider one? D is the standard width. EE will be a more wide fitting skate. The difference is about 1/8 of an inch. The sizing will be pretty similar. I would recommend 1.5 sizes smaller than shoe size. what is the main difference between the Vapor x400 and x600? The X400 will weight about 760 grams while the x600 skate weights about 880 grams. The x600 will feature the Edge Pro holder and runner to make swapping out runners very easy. The X600 will have 40 oz felt tongue while the x400 will have a regular anatomical 2 piece felt tongue. The X400 is a microfiber liner on them, but the the x600 will be a bit more water resistant with the hydrophobic microfiber liner. No, the runners are not replaceable on this skate.